Loenbro was one of the first companies to use phased array technologies in oilfields and refineries in Montana, North Dakota and Wyoming. We now provide clients across the nation with highly detailed digital images that can be transmitted almost instantly. Phased array presents no radiation hazard, so construction crews can continue work on the site during inspections. 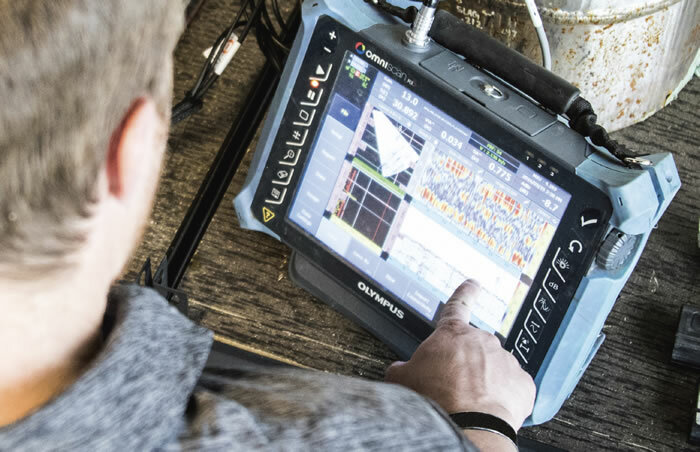 See how Loenbro puts ultrasound technology to work, providing phased array inspections that are efficient and auditable. Call us at 844-LOENBRO to learn more about our inspection capabilities. More industries are using HDPE pipe instead of steel, steel alloys, cast iron and concrete. HDPE pipe is more resistant to corrosion and erosion and less expensive to install because it is lighter and more flexible. 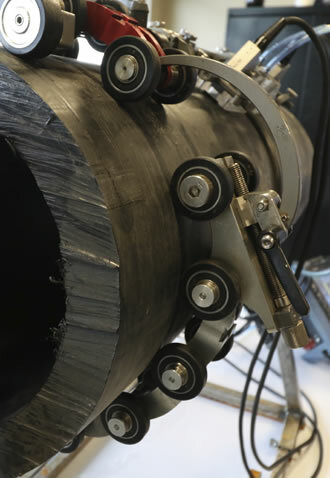 Loenbro’s certified inspectors ensure the integrity of the fusion joints in using phased array ultrasonic testing. After extensive research, we have developed procedures for HDPE phased array inspection that our technicians employ. Low-frequency phased array probes provide an auditable and efficient way of determining pipe quality. Our trained inspectors deliver results you can rely on. Interested in phased array services? Contact us today. Let us ensure the integrity of your HDPE pipe. 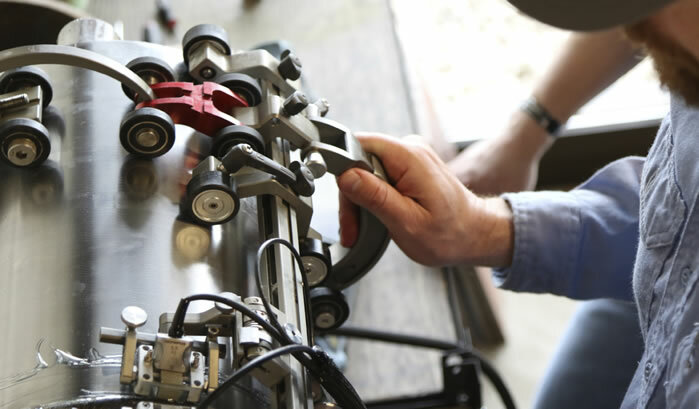 Our experienced technicians use phased array for pipeline, industrial construction, fabrication and pre-fabrication, and refinery turnarounds and maintenance. These experts turn to phased array because it provides higher quality images than traditional radiography. And because there is no radiation hazard with phased array, surrounding construction crews and activities can continue to be performed as we work with you. This means you get a more accurate inspection completed, and get back to work faster, saving you time and money.